Our Tax lawyers always advice clients on building the right tax defense strategies into the structure and operation of their business which includes pro-actively negotiating with Tax authorities. O. Shambartas tax and VAT lawyers advise clients on obtaining the necessary tax rulings. However, clients at times come face to face with the Tax Authorities either as part of a Tax or VAT audit or in an attempt to resolve a conflict relevant to their tax bill. TAX and VAT Audits appear to have increased in numbers lately, with Authorities being more and more inclined to scrutinize each and every transaction to justify a higher tax bill and increase in compliance and interest penalties. Being able to defend client’s position in such an audit has become a necessary tool of companies seeking to manage and resolve tax disputes without resorting to costly and time-consuming litigation. 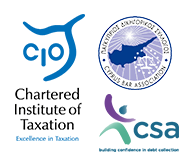 O. SHAMBARTAS is actively participating with our clients and other professionals in resolving tax controversies with the Cypriot Tax authorities. Our objective is to resolve tax disputes as early in the process as possible and without recourse to litigation. Our ultimate goal is to reduce costs and eliminate entirely any proposed adjustment, a result our firm has often achieved for our clients. However, where clients have either came to us late in the process or where litigation appears inevitable, we, at O. Shambartas, are readily equipped to claim and defend our clients’ position in Court.